A journey to becoming a published author. People often think writers work in isolation. And, to a certain extent, this is true. We have to plan, write, try to be witty (and laugh at our own jokes – as if doing that’s not super lame), do research…the list really just goes on and on. In the end, though, we have offer up our brain children to the world. They get devoured, rent apart and insulted. It tears us up real bad seeing all that happen. And, trust me, if we could prevent that from happening we would. The answer is pretty simple. Get a second opinion. Here! Please read this for me and tell me what you think! Sounds, straightforward, right? I wish. First, you get people who promise to read it but they never give any indication that they did. They keep telling you they’ll get around to it but they don’t. Thank you for showing me that you care so much, you giant insufferable jerk whom I used to trust and like. Then, you get the people who read it (or claim to have read it) and say they enjoyed it. Or “I liked it.” Um. Thanks. But was there anything that didn’t work? Then they give you that panicked, dear-in-headlights look. Usually, they didn’t think to look for stuff like that or they “don’t remember anything in specific”. LAME. What you really want is someone who’s willing to tell you as it is. Someone who is willing to offend you if they think there’s a real problem. Because it’s sure as hell going to be easier to hear that in private from someone you trust than to get it from all sides on the Internet right there on Amazon in your book’s reviews. Funny thing is. Even that rare honest person often has no idea how to give you decent feedback. It’s like society is too damn afraid to offend someone to teach us how to give each other vital feedback. Heck, I’ve taken creative writing courses where the facilitator and class mates give you feedback like they’re walking on shells. I am going to give you a little list that helps. It’s not the end all by any means. I’ve received amazing feedback from fellow writers who know how to critique and provide truly helpful feedback that went far beyond this. But you have to start somewhere if your willing and (hopefully) brutally honest beta reader doesn’t have a lot of experience. Did you enjoy the story? Did you lose interest at any point? If so, please describe why (especially if the beginning didn’t hook you). Could you identify with at least one of the characters? If not, what made them not relatable? If not, what broke the suspension of disbelief for you? Does story-specific jargon hamper the story? Was the dialogue stilted or unnatural? If not, please tell me why. Are the internal inconsistencies/plot holes? It helps if they answer in full sentences. Yes/no answers are nearly as unhelpful as the beta reader who gives the insipid “I liked it.” Be clear about what you’d like. And, yes. This list will scare off some people. People don’t like conflict when they have to be directly involved. (Yet, they love to read about it. Go figure.) You probably won’t like the negative feedback either. It’s the only way to improve your writing, though – knowing what you’re doing wrong. I hope this helps you at least a little bit. I know it’s changed my beta reading experiences with friends and family. This entry was posted in About writing. It’s a two-way street, really. The writers who are helping with the beta reading are learning a lot too. I’d like to think that it makes it quite rewarding for both parties. I’m sure it does Natalie. Really like the way you have set it all up! 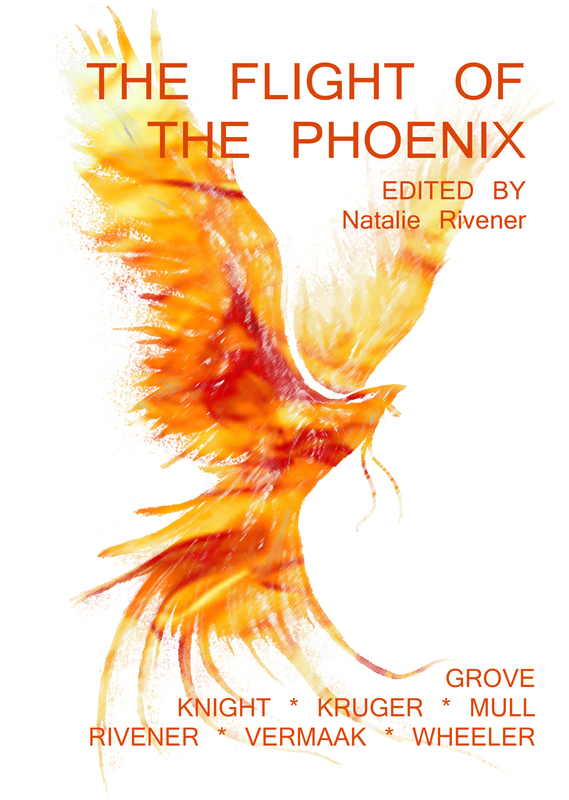 Add The Flight of the Phoenix to your bookshelf! This work by Natalie Rivener is licensed under a Creative Commons Attribution-NonCommercial-NoDerivs 3.0 Unported License.